Rules of Survival vs. Knives Out - What's the Difference? Find out the difference between NetEase Games’ popular mobile battle royale shooters. Although Tencent has published a mobile version of PUBG in China, we have yet to see an official PlayerUnknown’s Battlegrounds mobile game here in the U.S. To fill the void until then, Chinese tech company and mobile game developer NetEase Games has been churning out a series of battle royale games for mobile devices. Two of NetEase’s most popular battle royale titles – Rules of Survival and Knives Out – have been taking turns topping the free games charts on iOS and Android since their release. Both of these battle royale games appear to be very similar on the surface, making it difficult for newcomers to the genre to choose between the two. We’ve decided to explore the differences between Rules of Survival and Knives Out (if any) so that you can know what to expect in each of these popular free-to-play mobile games. There are currently three battle royale-style games available to Western gamers from NetEase Games: Rules of Survival, Knives Out, and Survivor Royale. We’re only going to focus on the first two games, since Survivor Royale hasn’t garnered the same level of popularity as its comrades. Of NetEase’s three battle royale mobile games, Rules of Survival has had the most success, consistently topping the app store charts since its release. However, Knives Out has been hot on its tail, steadily climbing the charts and remaining among the top ten free games week after week. Both games utilize the same general battle royale formula. Over 100 unarmed fighters are dropped onto a deserted island and must scavenge for weapons and fend off other players to become the last survivor. Both games feature a safe zone that continues to shrink throughout the match, forcing players ever closer to one another until one survivor is left standing. Like PUBG, players can team up in squads of up to four players, or go at it alone in Solo mode. For the most part, the core mechanics of Rules of Survival and Knives Out (and even their sibling, Survivor Royale) are very similar. However, there are a few factors that set these games apart from one another. There is one clear detail that distinguishes between Knives Out and Rules of Survival, albeit very minor. 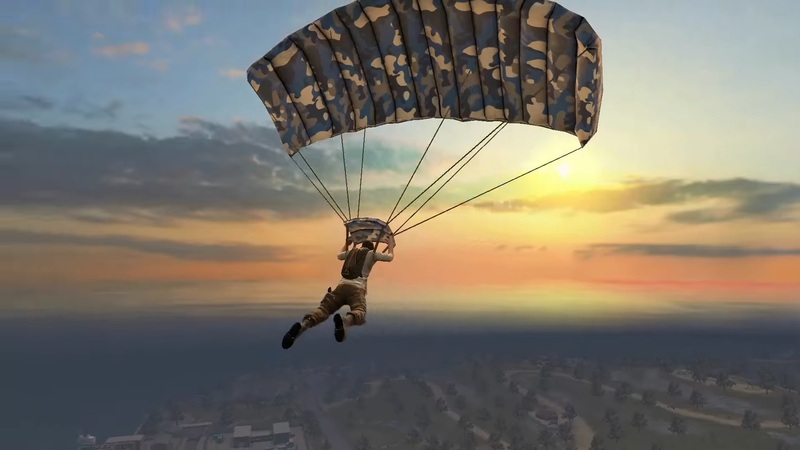 Much like PUBG, in Rules of Survival, players parachute to the ground upon jumping out of the cargo plane. In Knives Out on the other hand, players glide to the ground using a stylish wingsuit instead. This can cause the descent to be a bit slower in Knives Out, but it also makes the game somewhat aesthetically unique. When it comes to customizing your controls and HUD, Knives Out is arguably the winner in this regard. 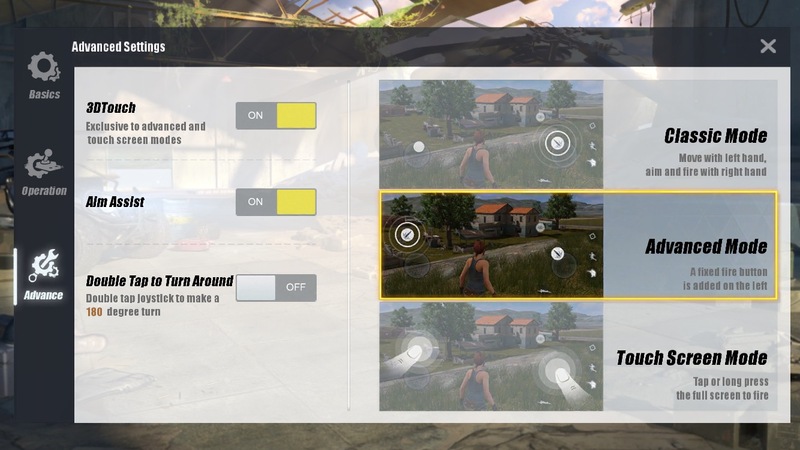 Knives Out gives players plenty of options for customizing their controls, including pickup settings, driving controls, and even a priority bandage use setting. If you like having lots of control options, then you’ll likely prefer Knives Out over Rules of Survival. 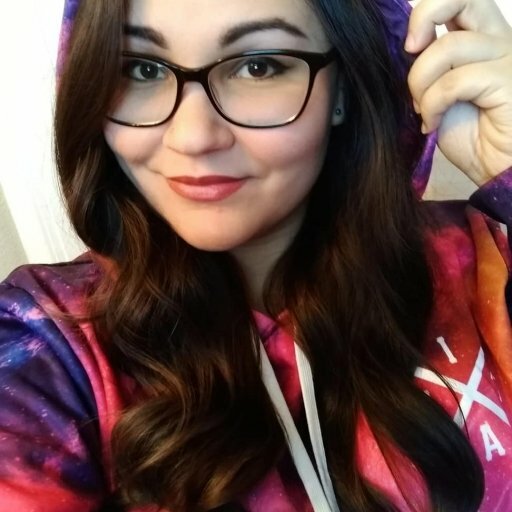 Both Rules of Survival and Knives Out offer multiple servers to choose from. Choosing the right server can help improve gameplay performance and queue times depending on where you’re located. While Knives Out has two servers to choose from, Rules of Survival has three. However, having one less server on Knives Out doesn’t necessarily mean you’ll have trouble finding a space on the servers they have available. One area where Rules of Survival and Knives Out differ is in their pacing, which comes down to the number of players in each map as well as the overall map design. While Rules of Survival hosts 120-player battles, Knives Out only supports 100-player battles. Many players contend that Rules of Survival has more fast-paced matches, which may be due to having more players on a seemingly smaller map. Knives Out’s island is also a bit more diverse in terms of its layout. 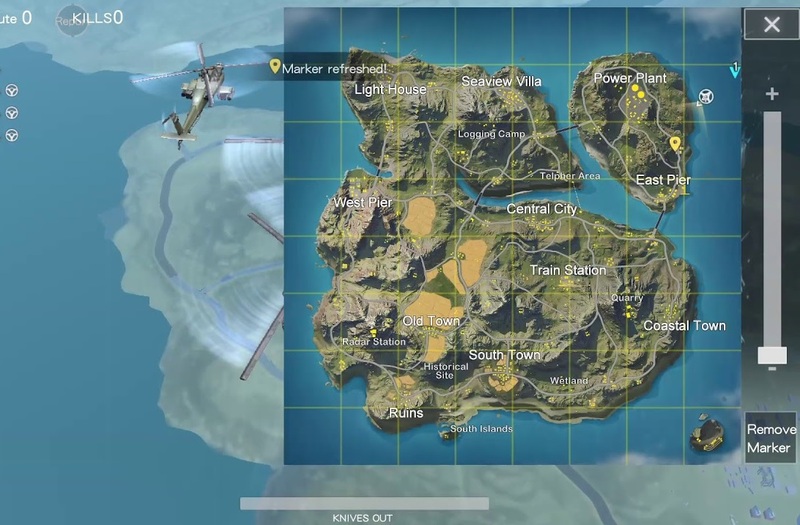 Rather than having one large continuous island like Rules of Survival, the map in Knives Out features a separate island off the northeast shore that connects to the mainland via several bridges. Pacing can also be chalked up to your own player skill as well, so take this into consideration when choosing between either game. Overall, Rules of Survival and Knives Out are very similar. If you are looking for a free battle royale game like PUBG that you can enjoy on-the-go, then both Rules of Survival and Knives Out will fulfill your needs accordingly. Let us know whether you prefer Rules of Survival or Knives Out and why in the comments below.